Gathered in this series are quotations from the greatest of all the biblical prophets and saints. Each book contains 30 brief extracts providing short meditations for time-poor readers wishing to make space in their lives for reflection. 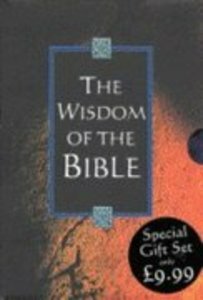 About "The Wisdom of the Bible (4 Volume Slipcase)"